Do You Know What Your Roof Is Made Of? The first step to knowing how to take care of your roof is to first know what it is made out of. There are several different materials that are used for roofing throughout the world and they each have their own set of care instructions. It is our job to make sure that we not only maintain, build, and restore your roof over the years, but to also let you know what it’s made of so you know how to preserve the most important part of your home. The following 7 categories are the most common types of roofs that you will find on homes in your general area. Shingles are by far the most popular choice for residential properties since they are cost efficient and durable. The majority of shingles are made out of wood fiber, cellulose, and a foundation of paper. They are then covered in asphalt to help make the materials waterproof and they are finished with an adhesive coating that includes ceramic granules to help provide an aesthetic appeal. These roofing materials are a blend of polypropylene plastic and ethylene propylene rubber. They are available in several different types of thicknesses and they are generally the roofing material of choice for commercial properties. They may also be seen on residential roofs that do not have slopes. They are incredibly durable and resilient against weathering. Metal roofs are one of the most resilient materials that you can install on both commercial and residential properties. In most cases they will be made out of steel or aluminum and are seen as a specialty material for luxury homes or architecturally pleasing houses. It is more expensive than other types of roofing but it is considered as the most durable material available. PVC is an inexpensive roofing membrane that you will see on commercial buildings as it is flexible and UV-resistant. In most cases it will contain several materials including pigments, resins, and fiberglass. Composite materials are used to mimic the appearance of real tile roofs but they are more environmentally friendly and sturdy than the real thing. You generally won’t be able to tell the different between composite materials and real wood or slate. As another type of material commonly used on flat surfaces, modified bitumen is applied by using a torch, asphalts, or adhesives. It will be applied to a roofing system by rolling it out and overlapping the edges with another roll. Slate has a natural and beautiful appearance making it a great addition to modern homes. Since it naturally occurs in the earth, it is long lasting though it may be incredibly expensive to maintain over time. https://knoxvillesroofing.com/wp-content/uploads/2016/03/Knoxville-Roof-Is-Made-Of-300x225-2-2.jpg 225 300 Eric Keith https://knoxvillesroofing.com/wp-content/uploads/2015/03/Knoxvilles-Roofing1-300x195.png Eric Keith2016-03-30 16:18:402016-11-14 16:48:10Do You Know What Your Roof Is Made Of? Take a moment to think about what your home would be like without a roof. It is by far one of the most important components of any home as it protects your house, your belongings, and your family from weather, animals, pests, and the sun. When your roof is installed the right way it helps to prevent water from entering various locations along your roof. Flashing is an important component of additional fixtures on your roof such as skylights, chimneys, vents, and dormers. It is so important due to the fact that it prevents damage from moisture in places where water is most likely to penetrate the surface of your roof. Commonly referred to as a protective seal, properly installed flashing is essential for maintaining the health of your roof and your home. Where is Flashing the Most Important? It is imperative that flashing is installed around all roof penetrations where water could easily find its way into your ceiling and walls. There should be flashing along the edges, joints, grooves, gaps, valleys, and projections of any roof on both residential and commercial buildings. Does Improperly Installed Flashing Damage the Roof? It is always advised that home owners take the time to hire professionals to not only install their roofing systems but to also make sure that the protective measures on the roof are installed correctly. Without the help of these crucial elements, your home will not only experience water damage but also be susceptible to many other types of damage. It will also force your roof to deteriorate much faster over a shorter period of time. Since replacing or repairing a roof can be an expensive venture, it is responsible to take the time to maintain it and ensure that its integrity is sound throughout the year. 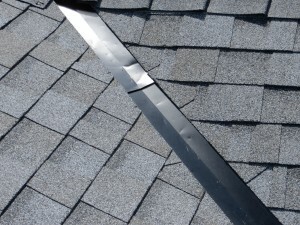 If flashing is installed improperly, it will lead to the roof joints deteriorating much faster than they should. This could lead to your roof falling apart or even caving into your home which would lead to unmeasurable damage. Making sure that it is installed correctly the first time around is the best preventative measure that you can take advantage of. If you find that you’re having problems with your flashing or if you need to have a new roof installed for other reasons, call our team of professional roofers to make sure the job is done properly the first time around. Every home owner will experience a time when they need to evaluate the condition of their roof, whether they live in a newer home or an older one. At times we can find ourselves asking if we should choose the less experienced but less expensive contractor or if we’re even able to save money by trying to repair or install the roof ourselves. It is always important to remember that even though hiring a professional may be the more expensive option, it is the best option available to you. Below are 4 things that you need to avoid when you’re making decisions about your roof. Having little to no experience when you’re working on your roof is the worst thing that you could do. It is far more beneficial to leave it up to the professionals as you could find yourself spending thousands of dollars and doing the job incorrectly. You will also be putting yourself and your family at risk. There have been numerous times where our team has been called in to repair a do-it-yourself job at home and the previous work isn’t only a waste of the home owner’s time, but their money as well. There’s a reason as to why our team works with a certain materials as their durability and integrity has been tried and tested over many years of use. Finding the best deal for roofing materials is always a good thing, but it can also be advantageous to rely on the prices that your contractor can get. You won’t have to worry about buying the wrong amount of materials and in most cases your contractor will have access to better ones that will last a longer period of time. It is important to note that not every roofing product is good for your roof, in fact there are plenty of products that might be easy to use at first but will cause a significant amount of damage over time. Relying on the professionals will help to make sure that the right components are installed in the right way. Making sure the job is done right is just as important as making sure the right materials are used. Take the time to find a reputable contractor in your area that has an extensive list of references that you can contact. Talk to friends and family members to see if they know anyone that would be able to help you with your roofing needs. Most people do not understand or realize the harsh elements of weather on the roof of their home. In the middle of summer, heat can climb to over 100 degrees and some materials such as slate, can become to hot to even handle. Same theory for winter applies where temperatures can drop to below freezing. 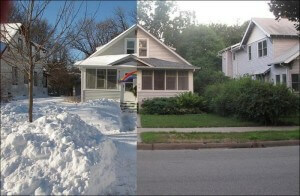 The difference in your weather can severely impact your roof and the life of your roof. With the different temperatures in any given season, the roof surface has to be able to withstand all types of precipitation as well as wind, sleet, snow and hail. In the middle of tornado season, the roof should be able to withstand the winds that come and should protect the inside of the home from damage from the high winds. If your home has not had proper maintenance performed, the roof may fail from keeping the home safe from debris or wind and rain. This can cause more damage to your home if not cared for properly on a regular basis. When it comes to working on the roof, the person working on the roof knows that it will depend on the weather and what they can do on the roof. If the temperature outside is too hot, there will be some things that cannot be done properly without risking the job being a waste. Some things like coating, shingle repairs or slate will not be properly done if the temperature is too hot. In the same respect, if the temperature is too cold, the weather will play a role in how the materials used are damaged. In the cold, the materials can become brittle or easily damaged. Imagine what your countertops in the home would look like if they were not properly maintained or if the floor in your home was never swept. The same theory applies to how the roof of your home is going to be. Your roof of the home is made to withstand the most extreme weather conditions possible and therefore to keep it working at the highest level possible, you want to make sure that your roof is maintained. If you have not performed scheduled maintenance on your roof or cannot remember when the last time your maintenance was performed, it would not hurt to call a roofing specialist in to take a look at the roof of your home. It will be a no cost no obligation appointment and when done, you will have a clear mind of what your home will be like. Top 5 Coolest Things Found in an Attic - Planning A Home Evacuation Plan For Your Family - Restoring or Getting Rid of Your Old Chimney - What Is Wind & Hail Roof Damage? - From Roof Leaks To Water Damage - Ways Trees Will Damage Your Roof - Roofing Warranties: What are the Trick Words? - Roof Colors: Top 5 Tips to Pick the Best One for Your Home! - Mold Removal: How-To - 5 Favorite Garage Gadgets - Characteristics of Poor Water Quality To Look For - Points To Consider When Replacing Your Home's Windows - 5 Spring Home Maintenance Must-Dos - Stuff You Didn't Know About Insulation - Outdoor Christmas Decor Checklist - Best Easter Basket Fillers For All Ages 2017 - Adding Architectural Interest To Your Roof - 5 Christmas Decorating Tips to Not Damage Your Roof - Caring For Your Home's Foundation - Sounds Coming From Your Roof? - Prevent Unwanted Critters From Dwelling In Your Home - Common Roofing Materials - Avoid Roofers Who Make These Mistakes - The Progression Of Building A Brand New Home - How To Make Your Roof Last You Years and Years - Is Your Roof Protected? You Should Consider Investing in Protection... - 4 Reasons to Have a Chimney Inspection for Leaks - Something Your Home Inspector Won't Tell You - How Well Does Metal Roofs Do In Winter? - Advantages of Metal Roofing - Roof Holiday Decor Safety - Getting A New Roof Installed Soon? 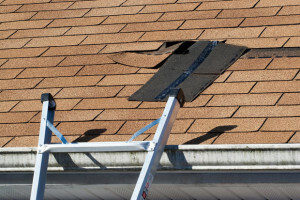 Here's What To Expect... - Warning Signs: How to Avoid a Roof Collapse - Maintenance On Your Roof Will Improve Its Lifespan - A Few Things to Consider When Replacing Your Residential Roof - What is Wind Driven Rain? - 4 Things to Avoid When Buying a Roof - Is Your Roof Ready For The Holidays - Before You List Your House For Sale Should You Replace the Roof - The Importance of Properly Installed Flashing - Do You Know What Your Roof Is Made Of? 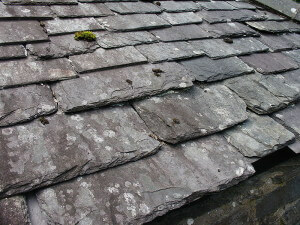 - Should a Mossy Roof be a Reason for Concern? - Reasons Why Should Have The Roof Inspected Before Purchasing - Five Reasons for Chimney Leaks - How to Handle a Roof Emergency? - What To Do When Your Roof Is Leaking! - Why is Proper Roof Ventilation So Important? - Understanding the Warranty for Your Shingle Roof - What Are The Pro's and Con's of Gutter Guards - Solar Shingles are the Future!